The original Caravan Show is a familiar meeting and business place for caravan travellers and known for its warm, friendly atmosphere! This fair offers useful tips for car and caravan travel in Finland and Europe, as well as various useful and fun items to buy. 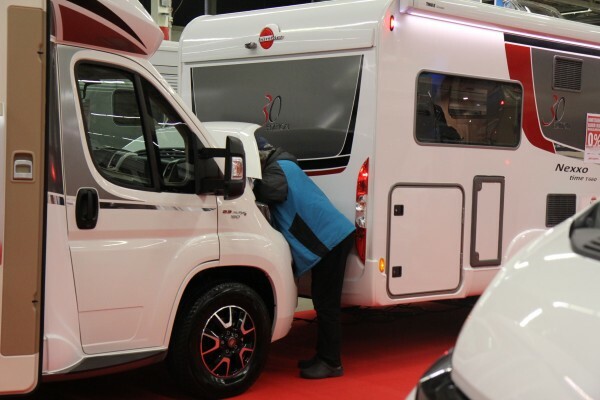 The next Caravan Show will take place 11.-13. January 2019. People come to the Caravan Show to make great purchases, have a good time, meet like-minded people and listen to experts’ tips on caravan travel and safety. The event is organised in partnership with SF-Caravan ry that has been co-operating with the Turku Fair Center in arranging Caravan Shows for over twenty years. Traditionally, the Caravan Show marks the opening of the caravan and camping travel season. Continuing past years’ traditions, a grand Winter Meeting is also arranged in conjunction with the Caravan Show. Hundreds of cars and caravans will gather in the meeting organised by SF-Caravan Turku ry to enjoy the warm spirit of togetherness in the middle of the cold winter. *Buy Your tickets before 10th of January and get a -3€ discount. 3€ Discount from adult, children, pensioner and student tickets. Buy Your ticket for Winter Meeting from here.